2016 was a turning-point in plug-in vehicle history. 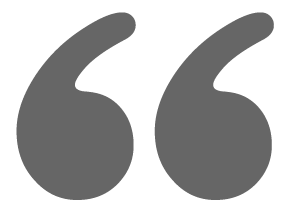 These turning points, big and small, happen until, eventually, we hit a tipping point and massive change occurs. 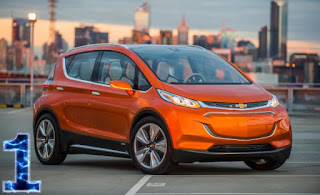 The release of the Chevy Bolt is number one on the list. No counting down to the biggest item, we're starting with #1. This is a first EV with more than 200 miles of range for less than $40,000. This is a milestone in automotive history. 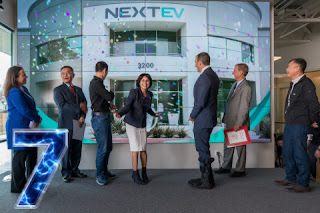 Strides like this will allow EV sales to continue to grow and reach wider markets. GM started their roll-out in California and Oregon in 2016 and is working hard to meet the demand. This one car could double the 2017 sales of plug-in cars. 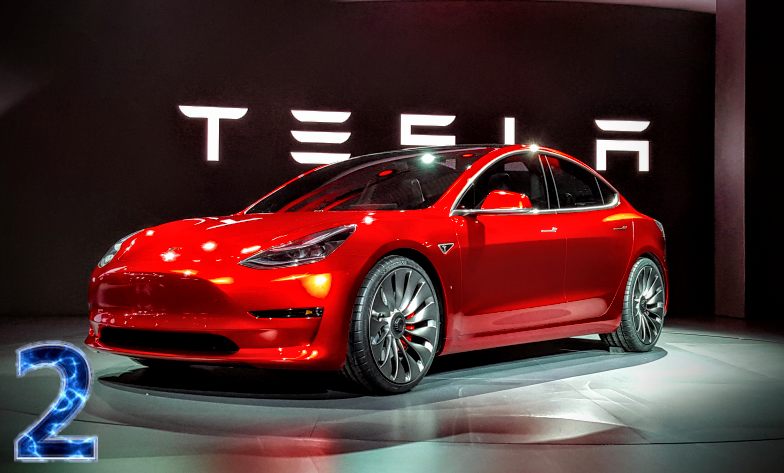 Tesla hasn't started shipping the Model 3 yet and it has already rocked the auto world. They are only taking reservations at this point. Taking reservations is not generally newsworthy, but in the case of the Model 3, things were different. More than 375,000 people put down $1000 to reserve a Tesla Model 3. This was a wake-up call to the auto industry. There's a big demand for EVs! The few holdouts that were clinging to hydrogen fuel cells were shook from their H2 induced delusion and announced electric vehicle programs. 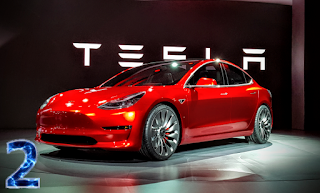 Daimler, Porche, Mazda, Mercedes-Benz, McLaren, Maserati, and many others announced that they are increasing their investments into electric vehicles. Donald Trump has not been an electric vehicle supporter. Love him or hate him, his election could have a dramatic impact on the adoption rate of plug-in vehicles. Elon Musk was invited and did attend Trump's high-tech leaders meeting, so there is a chance that there will be some support from his administrations. 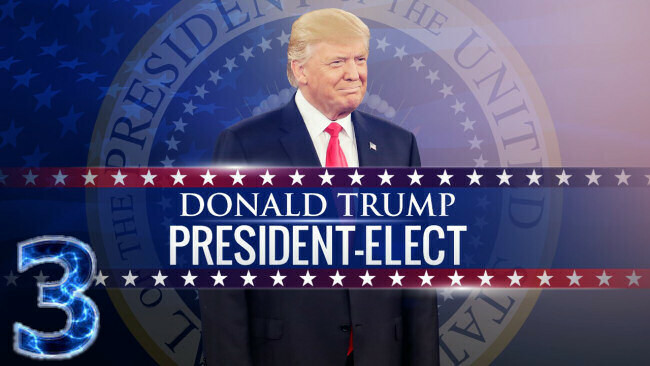 We'll see in 2017. 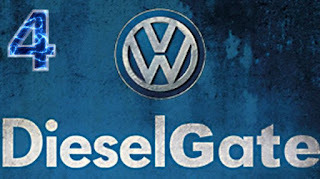 In the wake of the diesel emissions cheating scandal, Volkswagen has said that they will offer a 370-mile EV in 2020 at the price of a diesel Golf. 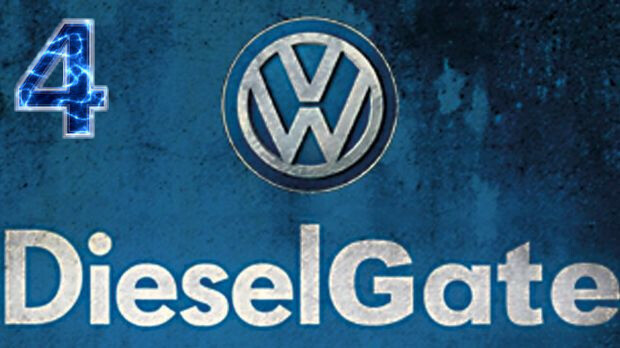 VW has had timid support for EVs, the silver lining to this incident might be that it caused them to accelerate their EV development. Tesla's Supercharging network grew dramatically in 2016. 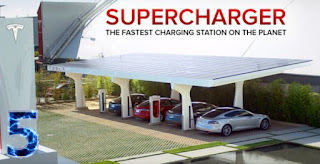 At one point near the end of the year, they unveiled 7 new Supercharger locations in 7 days, in 7 cities and they announced that they will have a V3 Supercharger that will make the current fast chargers look like "children's toys." The new V3 stations will have solar panels and on-site storage. Charging from on-site storage frees the system up from grid limitation rates and allows for much faster rates of charging than standard 3-phase would allow. A vast fast-charging infrastructure is vital to the expansion of electric transportation. Autonomous Driving made big strides in 2016. 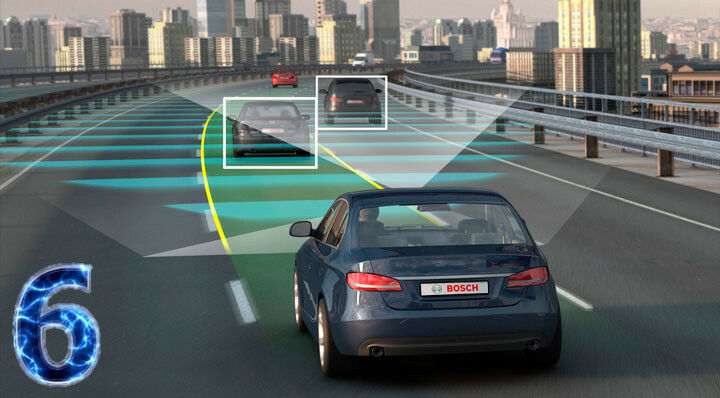 In 2015 most predictions were that full autonomous driving was 20 or 30 years away. Just a year later and most predictions see this as just 5 years away. 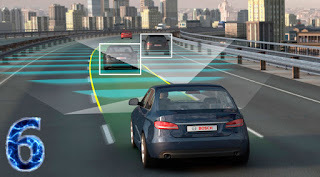 Google launched their self-driving car efforts as a new company (under the Alphabet umbrella) called Wamyo. Tesla greatly improved their Autopilot feature with the released SW 8.0 that enabled the forward look looking radar. Additionally, Tesla released Autopilot hardware 2.0. It has more cameras and better sonar. Tesla claims that, once the SW is ready, cars with this HW will be capable of full autonomy. Delphi, Bosch, Intel, Uber, Comma, Apple, and others all have autonomous vehicle programs in active development. 2016 birthed many new electric car startups. Atieva, Lucid Motors, Faraday Future, NextEV, Fisker (again) and other EV startups have been coming out of the woodwork. It's estimated that $1.9B was invested in EV-related startup companies in 2016. This is more than twice the 2015 investment and six times the 2014 level of investment. 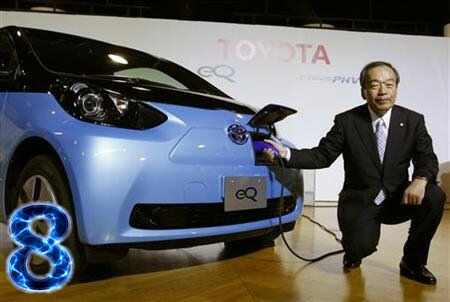 In 2016, Toyota announced plans to support EVs. As a bellwether of the industry and a company that has been a fervent supporter of fuel cell vehicles. As mentioned in item 2 above, many carmakers have announced plans for EVs but Toyota has been adamant in their PR that EVs are a very limited niche market, this change in direction is a big deal for the company and the entire industry. In 2016, for the first time, US plug-in vehicle sales surpassed 1%. This is a small milestone, but an important one on the path of disruptive technologies. With over 140,000 new plug-in vehicles placed on US roadways in 2016, EV sales grew 33% year over year. This pushed the total number of vehicles on US roads over the half million mark and it is on track to have 1 million by 2018 (as we predicted 1 year ago). Passenger vehicles are a large and important market, but there are many other types of vehicles on the road. In 2016 vehicle electrification branched out. Electric garbage trucks, buses, and farm tractors saw their first steps to becoming a market reality in 2016. 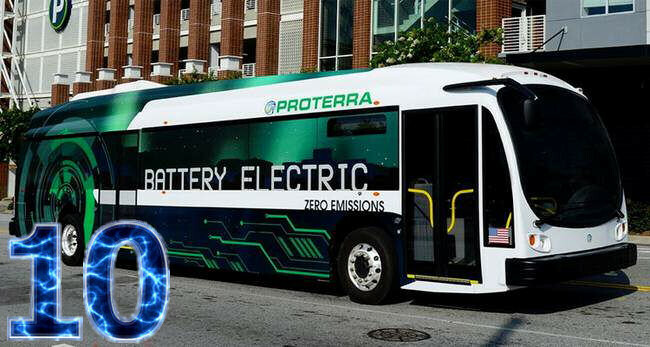 Proterra, Complete Coach Works, BYD, John Deere, Wrightspeed and others have products under development to move these loud diesel belchers to quiet electric drive systems. Tesla's Master Plan Part Deux promises that the automaker will have trucks, semis, and people movers (buses reimagined) at some future date. They might find that they have some competition waiting for them when they get there. And that's good for all of us. This concludes our to ten of 2016. What stories would you add to the list? 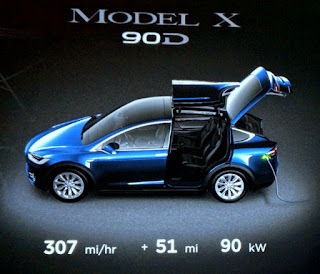 Executive summary: 500-mile round trip from Portland Oregon to Grants Pass in the SW Oregon mountain range and back in a Tesla Model X 90D. Covers trip planing, supercharging, and mountain pass driving. Trip is compared and contrasted to Nissan Leaf EV treks. Our Tesla Model X arrived in October and it has been my daily driver ever since. This December we took our first road trip. We traveled from our home in the Portland Oregon area to Grants Pass to meet my wife's parents and help her grandfather move into an assisted living facility. One way, the trip is about 250 miles. Our Model X has a 257-mile rating. Given this, I thought we'd be able to drive there with a single full charge. That was not the case. The second half of the drive is through the Western Cascades with significant elevation changes. This lowers the vehicle efficiency or, if you prefer, you can think of elevation changes as adding to the effective distance. Putting the destination address in Tesla's navigation system showed that there are three Supercharger locations (Woodburn, Springfield, & Grants Pass) along our route. The nav software also determined that we only needed to stop at the Springfield station for 25 minutes to recharge. The nav showed us the time we'd be at the waypoint and the expected battery charge when we arrived. On our previous electric road trips in our Nissan Leaf EV, figuring out where to charge and how long to charge was an engineering exercise. Tesla has made this much simpler. We left in the afternoon and hit the crawl of traffic on I-5 south of Portland. Things cleared up as we passed Wilsonville, then it was clear sailing. We zoomed passed the Woodburn Supercharge and continuing south we crossed the 45th Parallel (half way between the Equator and the North Pole). The miles ticked by and we arrived at the Springfield Supercharger in the hometown of the Simpsons. We had traveled 111 miles using 44 kWhs. We plugged in and the Tesla navigation system did something I didn't expect. It showed how much charge we needed to make it to our destination and it estimated that we'd have 13% charge left when we arrived in Grants Pass. The Supercharger hummed and the batteries were sucking up juice as fast as they could. As you can see below, the car was charging at a rate of over 300-miles of range per hour. 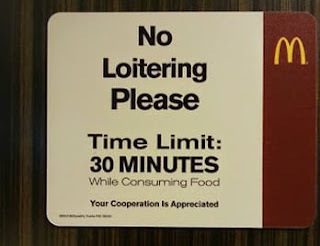 Twenty minutes later we received the notice below. It also showed that we were 20 minutes from a full charge. 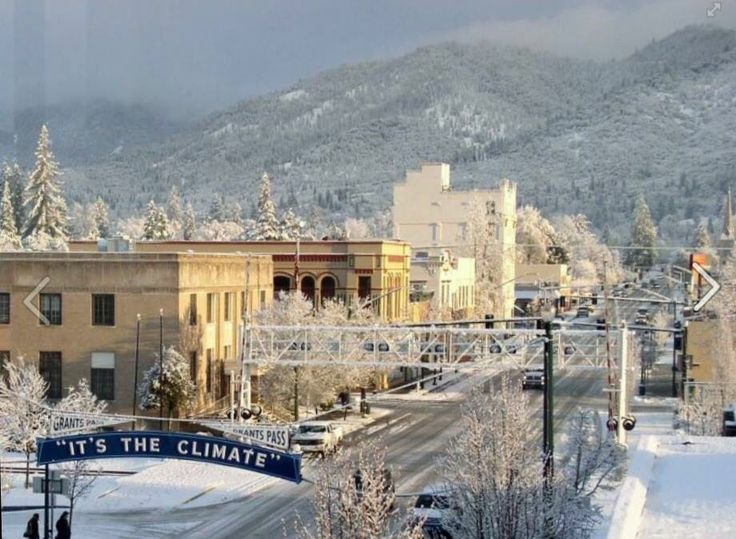 We didn't need a full charge to gets to Grants Pass and batteries charge slowest during that last 20%; there was no need for us to waste our time. Unplugging, we piled back into the car and after a stop for dinner, we continued south. Charging to just what you need for your next stop (with a little cushion) is the best method. It values your time and maximizes the infrastructure availability. This is the Lagom charging method that we've recommended and Tesla's software lets you do this with confidence. When the Tesla navigation system knows where you are traveling, it can recommend the needed charge. From here I-5 enters the Western Cascades (home of Crater Lake); the road goes up and down hills, there's fog, curves... It was a cold December night and we had the heat on. As we traveled that 13% battery reserve that the navigation predicted, began to drop. Going up a steep hill it dropped to 6% and a warning popped up. "Unless you maintain a speed of 65 MPH or below, you may not make it to your destination." That was clear direction; "Slow Down or Plan on Calling AAA," is what I heard. Again, comparing this to earlier road trips in other EVs, we didn't get this type of mid-course correction. We were only 40 miles into the 140 miles of this leg. Heeding the warning, we settled in behind semi truck going 60. The Autopilot locked in and it was easy cruising. As we sat behind the trundling semi for the next 20 minutes or so our estimated-arrival-charge ticked up from 6%. 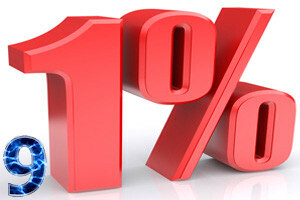 When it reached 12%, I was confident that we'd make it. We passed the semi and accelerated up to something around the speed limit. Instead of heading directly to grandpa's house, we stopped at the Grants Pass Supercharger to grab a few kWhrs for running errands the next day. We had traveled 140 miles using 58 kWh. After 10 minutes of charging, we headed to grandpa's. We arrived to a warm greeting as my in-laws were concerned that a battery-powered car would not be able to make the trip and that we were stranded on the side of the road somewhere. 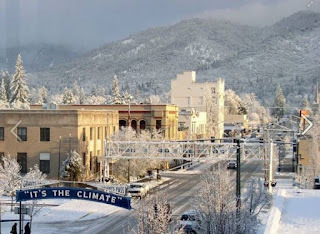 Grants Pass, Oregon in winter "It's The Climate"
In part 2 of this tale, we'll cover using the Model X to transport Grandpa and his belongings. The Supercharger stations were easy to find. They were near the freeway. The West Coast Electric Highway stations, such as Castle Rock's, are occasionally too much of a detour. There were plenty of open spots to charge. During the round trip, we stopped 4 times at Superchargers and only saw 2 other cars. This meant there was no waiting. By having 6 or 8 bays at each charging site, you're not likely to have to wait. 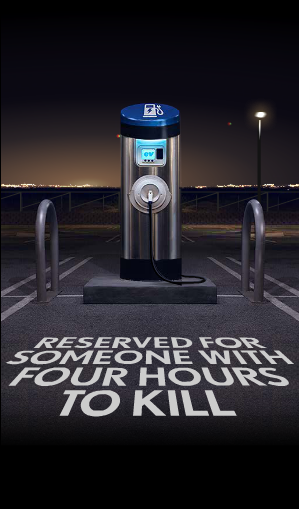 In contrast, at CHAdeMO and CCS stations there's generally only one fast charger and if it is occupied, you're waiting. There's been some Supercharger congestion in parts of California, but everywhere else Tesla has managed to stay ahead of the demand. The Superchargers were all operational. If you drive an EV that uses CHAdeMO and you are making a trip, you better check PlugShare or something like it to see if the stations that you are going to need are operational. Since there is often only one CHAdeMO station at a site, if it's broken down, then what was planned as a 30 minute DCFC stop is turned into a 2+ hour Level 2 stop. Having a long range (257 miles in this case) made this trip much easier. We arrived at our Springfield charge stop with a 41% state of charge (nowhere near empty). This meant that we didn't have to charge for long to continue. Batteries charge slowest in their top 20%; this means that if you can avoid using this zone for a mid-trek recharges, you'll be able to charge much faster. Bigger batteries make everything (except the purchase price) easier. You can charge less often and you can charge faster. No membership cards. With CHAdeMO and CCS vehicles, you have to join charging networks. There's Blink, ChargePoint, nrg, SemaConnect, OpConnect... the list goes on and on and the local networks are different in different regions. With a Tesla, you don't have to worry about any of this. You pull in, you plug in. There's no card to find and no card reader that may or many not be working. Tesla has the right charging model and other automakers don't seem to even understand the problem yet. Tesla's navigation app makes trip planning a breeze. I didn't have to pull out my protractor even once to determine if we'd make it to our next hop. The Tesla Supercharging network is robust, reliable, and fast. 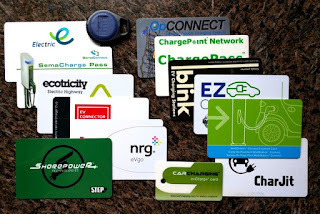 With other EV-treks I've taken, I've had backup plans and I usually charged more than I needed to just to be sure we'd make it. With the Tesla stations, I have no concerns that they'll be offline. We traveled ~500 miles round trip from NW Oregon to the Rogue Valley in SW Oregon. Other than ~20 minutes when we had to slow down a little, the trip was uneventful. The Tesla performed admirably through mountain passes, fog, and cold weather. The vehicle had the potence and wherewithal to do the job even with freeway speeds, heater usage, and elevation changes. Toyota's recent announcement about launching electric vehicles in 2020 is more than just another press release, it heralds a shift in the market. Toyota recently made an announcement that they were appointing their president to lead their newly formed electric car division. Several automakers have made similar announcements with plans to develop electric cars and this might seem like just another one. This is so much more. 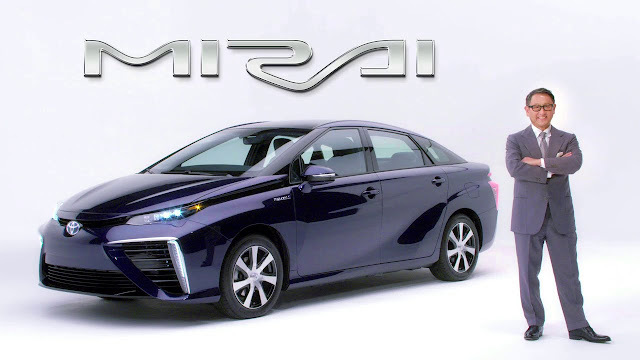 Toyota was one of the major supporters of Fuel Cell Vehicles (FCV) and they have been stern in their claims that electric vehicles (EV) will only have a niche market. In their Vision 2050 document (released in 2015) Toyota foresaw that the vehicle make-up in 2050 will be primary hybrid vehicles (HEV and PHEV). With FCVs a growing market to eventually replace HEVs. While EVs would be relegated to short range 3-wheelers and little urban runabouts. The view that EVs would have a very limited market was not just the view of a few at Toyota; their long-term strategy, the company's future, was based on it. This belief pervaded the company corporate culture at Toyota. Their executives and engineers openly talked about their disdain for EVs with the press (see below). Deliveries of the Toyota Mirai began in 2015 and it was squarely in competition with Tesla, the Nissan Leaf, Chevy Volt and other plug-in vehicles. Toyota's marketing went on the attack. Anyone that questioned the viability of FCVs was labeled a 'handbrake' and someone that was holding back the future. 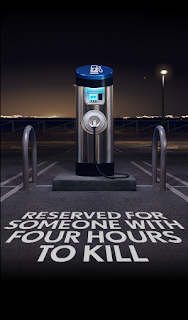 Toyota's culture of bashing EVs clearly came out in their marketing with campaigns that said "No charging means more driving" and labeled EV parking spots with the slogan "Reserved for someone with 4 hours to kill." Electric vehicles have a fundamental physics problem. No one will buy a second Tesla. They'll return to Lexus. Battery-powered electric vehicles don't have a practical future as a long-range alternative to conventional cars even if technological breakthroughs allow them to be charged quickly. EVs should only be used for short distances during the day. Hydrogen fuel cell vehicles are a more a promising zero-emission alternative [than EVs] to conventional cars because they offer a similar driving range and refueling time. Fast charging totally goes against the need to stabilize electricity use on the grid. The lithium battery has tremendous shortcomings for cars and there’s nothing promising beyond the lithium battery on the horizon. The cruising distance is so short for EVs, and the charging time is so long. At the current level of technology, somebody needs to invent a Nobel Prize-winning type battery. Batteries are good in short-range vehicles… But for long-range travel and primary vehicles, we feel there are better alternatives, such as hybrids and plug-in hybrids, and tomorrow with fuel cells. We don’t see any battery technology that would allow us to…give customers a comparable driving experience at a reasonable price. Nobody makes more batteries than Toyota. We’ve been doing batteries longer than anyone in the automotive business. Which is why we’re so bullish on fuel cells. 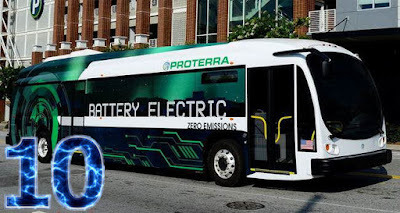 To see a news report from the company that said all of the above that reads "Toyota Motor Corp is looking at mass-producing long-range electric vehicles that would hit the market around 2020," is a major change in direction. It can be nearly impossible to change the direction of a large organization the size of Toyota. They may need to 'invite' a few senior executives to retire. They may need to have management at all levels drive EVs. They may need to have internal training on the joys and benefits of EV ownership. We'll see if Toyota really can put this anti-EV attitude behind them and create exciting long-range EVs. They have taken the first step; I hope they can do it. The world will be watching. Elon Musk responded to a tweet complaining that the San Mateo Supercharger was "always full with idiots who leave their Tesla for hours even if already charged." Musk's response acknowledged the problem and promised, "Will take action." Notably, he does not object to some Tesla owners being referred to as idiots. Is this due to the 140 character limit, or does he think a few bad apples are causing a problem and the name is deserved (for this small population)? What do you think this "action" will be? The recent change to the end of unlimited free Supercharging is certainly the first move to reduce unnecessary use of the Superchargers. The new program limits free Supercharging to 400kWh per year. Once a car at a Supercharger is full it is, of course, no longer using Watt-hours, so it is free to loiter and the problem that @loic points out will still be there. What could Tesla do to encourage cars to move along after they are full? Would they have some fees continue even after the charging is done? If so, would there be a grace period before the fees begin? 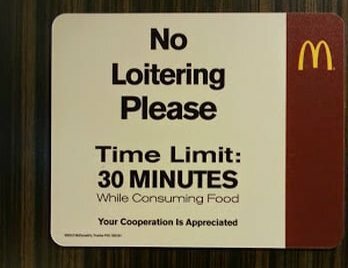 Above is a shot of McDonald's loitering policy. Tesla's could read "While Consuming Electrons Only." Tesla generally tries to put the charging stations near interesting places (shopping, dining...), so it's not surprising that many people enjoy the nearby attractions while charging. What are your ideas? Do any of them include the charging snake, self-driving, valets, or tow trucks, or mace? Let me know. One of the great features of Tesla vehicles is that they get over-the-air software updates. These updates fix bugs, add features, and occasionally improve zero-to-60 times. Recently, there was a major upgrade to the software in Tesla's vehicles. This update was version 8.0. Many new things were introduced in v8.0. For this story, we are going to focus on just one of them, the "Cabin Overheat Protection" feature. This feature is designed to keep the temperature in the cabin at a level where children or pets accidentally left in the car do not die. If the temperature in the cabin is over 105F/40C, then the overheat protection activates to reduce the temp. The system will ventilate the cabin and turn on the air conditioning to keep the temp below 105F. It should be stressed that this a fail-safe feature; it is intended as a precaution only. It is *not* meant so that now you can intentionally leave your children or pets in the car unattended. The feature only works if there is adequate charge in the batteries. Mike Wehner wrote a story at the Daily Dot that was titled "Tesla's Cabin Overheat Protection is Designed for Sh*tty people". The title was later changed to "Tesla just added a feature specifically for horrible people". This seems like an obvious attempt to cast anything from Tesla in a negative light. Wehner's own article admits "if this feature manages to save the life of a child—or a family pet—it's worth Tesla's time to implement," but that is not how the story's clickbait, anti-Tesla title(s) is worded. Wehner is right about one thing, this feature could save lives. In 2015, I was working at a major high tech firm and they had (and still have) charging stations in the employee parking lot. This is where our little EV community would occasionally meet for lunch and discuss our cars and the latest EV happenings. These were my friends, my coworkers, my fellow EV drivers. On a warm spring day in 2015, a tragic and unintentional accident happened near that little corner of the parking lot where we occasionally gathered. One morning, a father was supposed to take his 6-month-old daughter to daycare after a doctor’s appointment. She fell quietly asleep as they drove and he forgot that she was in the car. The father drove past the daycare and went about his normal workday. He stayed at work the entire day without realizing that he had left his baby girl in the backseat. At 5 p.m., his wife called to arrange daycare pickup when he realized what had happened. He raced out of the building. When he reached the car, the baby didn’t appear to be breathing and her lips were blue. He called 911, attempts at resuscitation were unsuccessful. Police later estimated the temperature inside the vehicle was 116F. Notes about the above story. All of the above information is from public news sources; I don't have any inside information. I didn't know the father. Second, the vehicle that the baby was in was not an EV. It does not particularly matter what type of vehicle the baby was in, no vehicle at that time had overheat protection. I only mention this because rereading my comments above about "our corner" of the parking lot made it sound like the baby was in an EV. The vehicle just happened to be parked near the charging area. I don't often charge at work, but I have often wondered if I had happened to have plugged in on that day, would I have seen something or if we'd had one of our lunch gatherings, might it have turned out differently. To this day, if I am walking through a parking lot and I see a baby seat, I look in the car, just to make sure that little seat is unoccupied. This was not the only tragic death like this one in that year or this year. Wehner's article quotes a Pediatrics study that says 693 children have died of vehicular heatstroke since 1998, with 32 of those deaths occurring as of their publishing in 2016. Wehner's solution seems to be to simply tell people to not leave babies or pets in cars. Or if you do, to revert to name-calling. This is not a solution. What Tesla is offering is a solution. I hope that as more manufacturers add larger battery packs to their vehicles that they all offer this safety feature. The Chevy Bolt is coming to market soon. GM could and should add this feature if they haven't already. 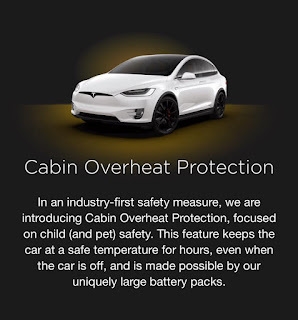 Tesla has not patented overheat protection and they are not trying to prevent other automakers from using it. Every vehicle with more than 200 miles of electric range should have cabin overheat protection. Wehner and I agree that if this feature manages to save the life of a child—or a family pet—it was worth Tesla's time to implement. We don't agree that it is just a feature for horrible people. Mistakes happen. Some people are absent-minded or others have stresses that can cause lapses to occur. The father in the above story is a perfect example. He had no malicious intent. After an investigation, no charges were brought against him. If more cars had overheat protection, lives would be saved. If his car had overheat protection on that day, he would have had a horrible scare and would have found a cranky baby in his back seat. What was undoubtedly the worst day of his life, would have instead turned into a diaper change and maybe a trip to the hospital for dehydration treatment. Given the tragic event discussed above, this sidebar is just a mundane event. I include it only to demonstrate that I've played with the overheat feature. Recently, I inadvertently enabled overheat protection, no children or pets were involved. I drove home with the heat on and when I was home, I parked, went in the house, grabbed my smartphone, launched the Tesla app and turned the heat on high. With the windows up, the temp quickly shot up to 109F. I turned off the heat, thinking this would keep the cabin warm for hours. A few minutes later, I grabbed my phone and it showed a cabin temp of 80F. What happened? I knew about the overheat feature, but I assumed that would only cool it down to 105F. Well, not exactly. The feature is designed to keep it below 105F. In this case, there was cool night air around the car. This allowed the system to quickly vent the warm air from the cabin and draw cool ambient air into the car. This quickly brought the temp down from a blistering 109F to a comfortable 80F. So I turned the heater back on high but this time I turned it off at 95F. The tinting film cured and the windows look great.